Are you tired of spending hours trying to figure out how to manage all of your websites or even just one website? You wish you had a “web guy” hired that will do all the website management for you but cannot justify a full time or part-time employee, nor even a freelancer? We have got your back! We have clients that run multiple small businesses and have a website for each of them, but they don’t have the time to learn how to manage them properly or even time to actually manage them. Their websites suffer or even worse – get hacked, because they usually miss to upgrade the website software, update the content, and more. If your website or your client’s websites are important to you and your business but it is keeping you awake at night, then Exai’s features for managing websites is what you need. Exai is a DIY Website CMS that moved up a notch to include some fantastic and unique back-end management features for website agencies, web designers or anyone managing one or multiple websites. The goal of putting better website management tools at your disposal is to try to eliminate some of the most difficult and expensive management tasks like international billing, assigning roles to each website user, regular website software updates, etc. All additional features are FREE for any website hosted on Exai. Launching and managing websites becomes a lot easier and cost effective when you have an integrated CRM with many different functionalities. Our support and customer service are available every day of the week for any kind of technical issue. 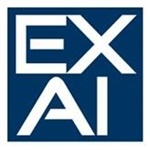 Exai also creates a unique management plan for each of the clients and we work directly with you. This way, every single important thing for the good of your website will be communicated to you. Your website’s uptime and maintenance are crucial for your business. You never want to have your website down for 2 days for any reason – this will cost your business fortune! Maintaining a website can be a challenge for any small business owner like any good website requires lots of maintenance work and constant updates. This way you will be able to concentrate on running your business safe in the knowledge your website is in good hands. Sounds like a plan? Call us +1-323-486-9885 or +44-2033188581 for a chat about your requirements, or fill the form below to request a call from us. If you're a website developer or designer that makes money developing and designing websites for clients, and you're looking for a better way to manage websites along with the possibility of getting more business from Exai's Eco-System, then take a more in-depth look at what is available.